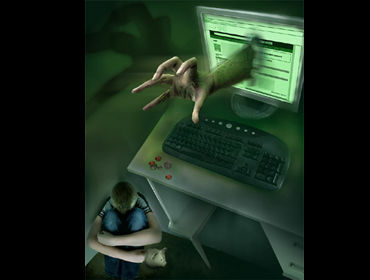 Home » News & Views » Your World » Cyber-Bullied? We Need You! You all are familiar with the internet, and by extension, cyber-bullying, am I correct? 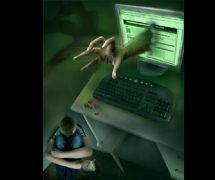 For those of you who aren’t quite sure what it entails, cyber-bullying is any form of bullying through the medium of technology, such as Social Networking, IM, mobile phones, etc. It can come in varies degrees of cruelty, through a broad range of guises. In one part of Rhondda Cynon Taff, there is an organisation known as the Cynon Valley Youth Crime Prevention Panel. Other than being a great mouthful, the CVYCPP are known for their aims to reduce problems affecting young people in the community. This year, the panel aims to educate those who work with young people about the effects of cyber-bullying. Ultimately, this will conclude in a cyber-bullying awareness event, based upon thorough research taken up by the panel. When asked, youth workers and teachers seemed to agree that the thing most useful to them would be real life experiences. It appears that they would like to know how young people feel about and cope with cyber-bullying, in order to combat it alongside the children they work with. This is where you come in. The CVYCPP are looking for experiences of cyber-bullying to use as examples in their event this coming September. These accounts would be held in confidentiality and kept anonymous if the writer so wished. I ask of you, if you have experienced cyber-bullying or know someone who has, then please help us combat it by telling us of your experience. This is completely voluntary, and all examples would be used anonymously if you would like. If you are willing to share your story, you would be helping a great cause and perhaps preventing other people from feeling the same way. So please, if you do have a story to share, email it to jessica.delahaye@cvcpa.co.uk, along with whether you wish it to be anonymous. It doesn’t matter how severe or trivial the experience may seem to you, the Crime Prevention Panel would really appreciate any input you have.